Our last day trip from our temporary home base in southern Germany is to Salzburg, Austria. It’s a beautiful city with a long history of prosperity from the area’s salt mines, has one of the best preserved city centers in the German-speaking world, is the birthplace of Mozart, and has an amazing and varied cultural scene. 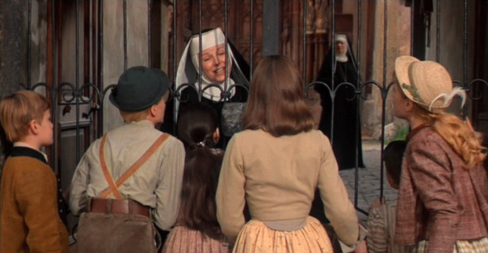 But all of this city’s character is overshadowed by one thing: the movie The Sound of Music. 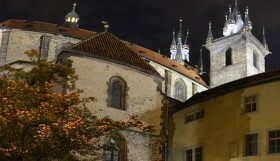 The city is not only where the movie was filmed, but plays a large part of the plot. 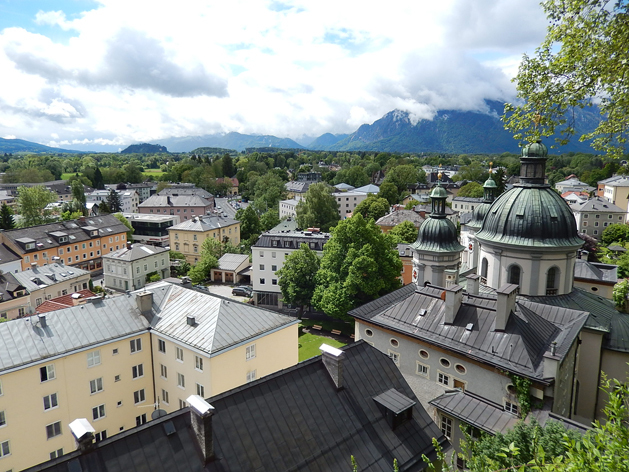 Salzburg residents are cashing in on the popularity of the movie and offer bus, walking, and bike tours, as well as souvenirs related to the movie. 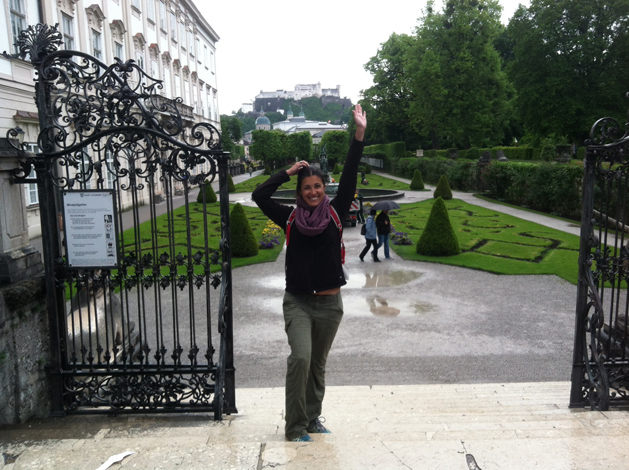 Arriving in Salzburg, the Sound of Music as a tourist attraction is much bigger than I imagined. 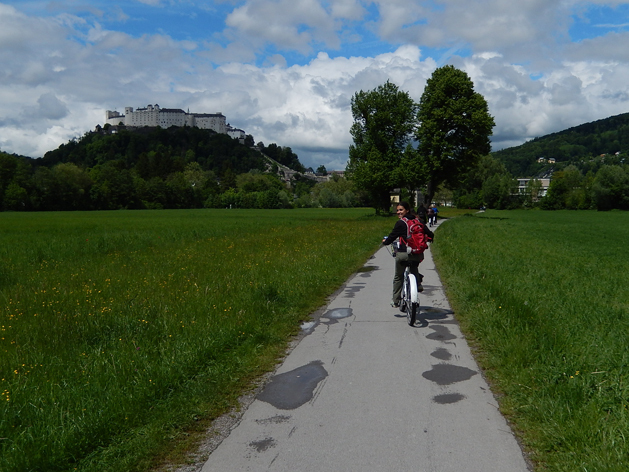 As a fan of the movie since childhood, I make plans to spend our first full day on one of the best-reviewed Sound of Music bike tours. We meet our group in the morning, and during introductions we learn that our tour guide hadn’t seen the movie until she started at this job. Apparently it’s only popular in the US and other English-speaking countries (comment below if you have anything to add). 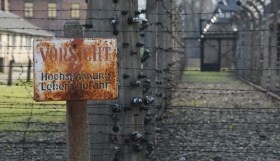 We set off with our group of eight others and hit up some spots where the movie was filmed or inspired. Nonnberg Abbey, where the real Fräulein Maria lived. 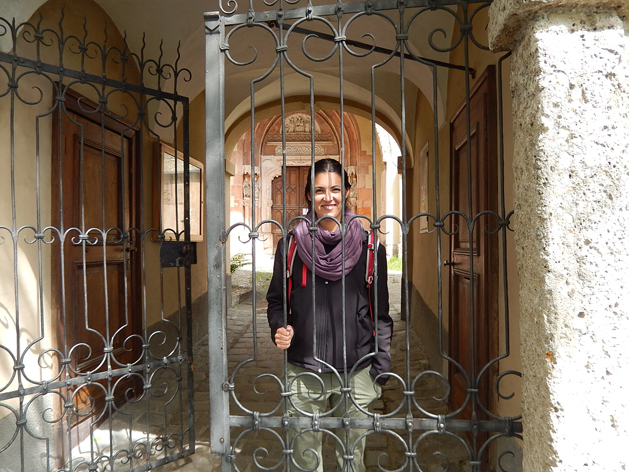 The gate is where the children beg the nuns to let them see Maria after she runs away. Nonnberg (literally ‘nun mountain’) is one of the highest points of Salzburg and the sky cleared briefly to give us great views of the city. Frohnburg Palace used to belong to the state and is now part of a music university. 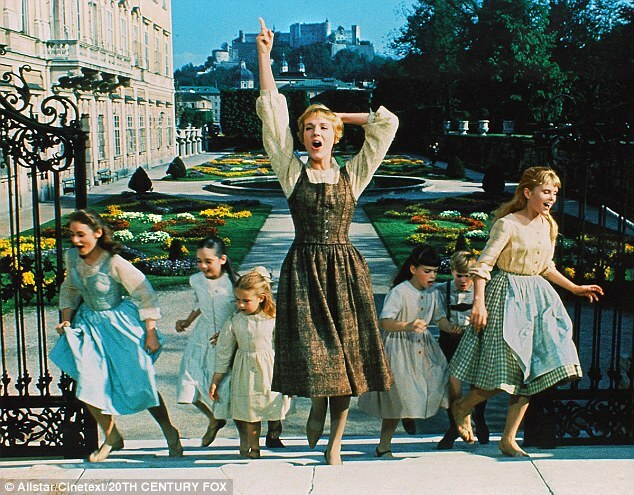 In the movie, Maria skips down the lane singing I Have Confidence, and ends in front of the palace, which served as the front of the Von Trapp residence in the film. I, of course, had to attempt to recreate the “I Have Confidence” skipping scene. 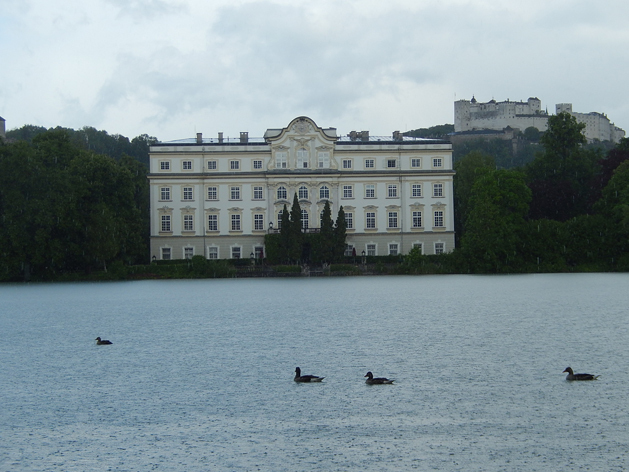 Leopoldskron Palace was used for the back of Von Trapp residence and the adjoining patio and lake was used for many scenes, including where Maria and the children fall into the water on their way to meet the Baroness for the first time. 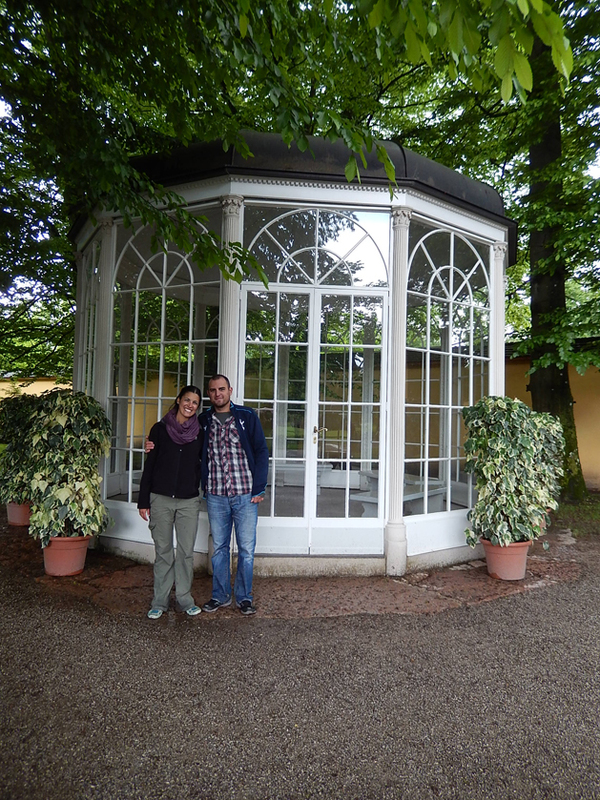 And of course, we had to visit the gazebo where Lisel sings Sixteen Going On Seventeen and Maria and Captain Von Trapp sing their love song. 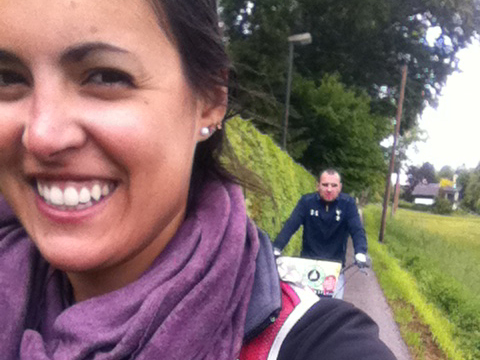 The biking itself was also a highlight. Long gravel park paths and paved river paths in addition to bike lanes on the streets make Salzburg a very bike friendly city. Despite the periodic rain showers, we had a great tour. 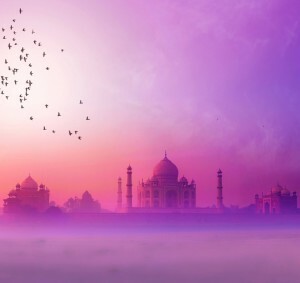 Awesome you had a lovely trip. Those pics are really superb. You are really lucky enough.